In Japanese, the word shin means “new,” and this is fitting for Osaka’s modern train station. You may arrive at Shin-Osaka Station on one of Japan’s famous Shinkansen bullet trains. This station may be relatively small compared to the massive stations of Kyoto and Tokyo, but it is artfully designed for easy use by first-time travelers. Osaka is Japan’s second largest city, but Shin-Osaka Station represents the quiet side of the city. 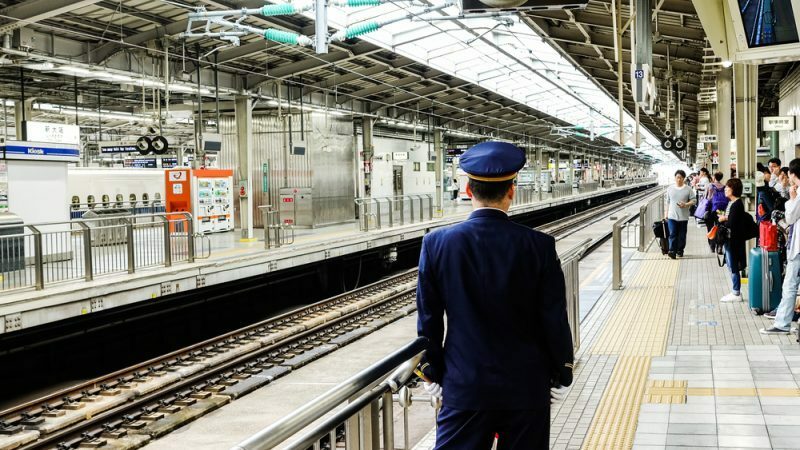 You are likely to pass through this station when traveling to Osaka, and it serves as an excellent springboard from which to begin your travels. Three Shinkansen lines connect with Shin-Osaka Station, the Tokaido, Kyushu, and the Sanyo lines. The Tokaido Line connects with Tokyo in the east, the Kyushu Line with Hiroshima, and the Sanyo Line travels to Fukuoka in the west. If traveling to or through Osaka by Shinkansen, you will no doubt utilize Shin-Osaka Station. 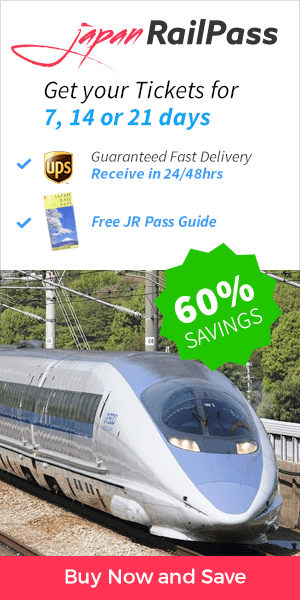 Traveling between Tokyo, Kyoto and Osaka with the JR Pass. Various trains run on the Kobe, Fukuchiyama, and Kyoto lines. Getting to Osaka Station also allows entry onto the JR Osaka Loop Line. Local commuter and rapid trains utilize this station but are not covered by the JR Pass. The Midosuji Subway Line, part of the Osaka Municipal Subway system, is located on the station’s second floor and provides direct access to the downtown area (Namba Station). Shin-Osaka Station is a mere three-minute train ride from Osaka Station via the JR Tokaido-Sanyo line, allowing access to the Umeda area. The subway trains provide the most direct access to the train station in Namba’s downtown center. Shin-Osaka Station is a four-story building. Most areas are labeled in both English and Japanese to help you find the correct gate and platform. Bilingual station maps are located on each floor. Icons are also used, such as a blue square with an image of a Shinkansen train to indicate that train’s location. Color coded arrows and lines adorn the floor to help you find your way. To access the trains of Shin-Osaka, enter the gates on the third floor – South or Central gates for the Shinkansen, and the East Gate for other trains. JR Pass holders may use the Shinkansen gates without purchasing a Shinkansen ticket; simply show your pass. The ticket counters are also located on this floor. For access to the Shinkansen trains, you will travel up to the fourth floor, and for other JR trains, the second floor. Transfer gates allow you to pass between one train type and another. You may wish to stow your luggage before departing the station for a day on the town. Coin lockers are located on the first through third floors. The first-floor exit allows access to taxis, city buses, limousine buses, car rental, and bicycle rentals to aid in your exploration. Hotel prices are generally more affordable in this region of Osaka. While in Osaka, will you play at Universal Studios or Osaka Aquarium? View historic castles, temples, and shrines? Bask in the natural beauty of the forested Minoo Park or shop downtown? Whichever activities you choose, your JR Pass and Shin-Osaka Station are certain to make your travels a breeze. I previously left a message and posted. However i never received a reply back. Wondering if it has been reviewed by the team. I have questions about my trip visiting japan in June 26 to July 4 regarding the JR Pass and suggestions for lines to use to moving around in from kIX airport tO Osaka. via Osaka to Kyoto and Tokyo.